Looking for a way to get more exercise, meet others from across campus and have some fun? The Faculty of Health is putting together a coed softball team comprised of players from all of our Schools and units. 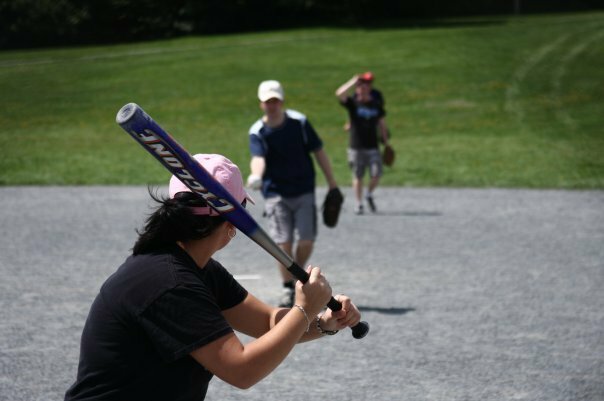 The new team (The Health’s Angels) will join Dalhousie's Bruce Moore Memorial Softball League this spring. Games typically begin the week after Victoria Day weekend, through to the August playoffs and are held at Gorsebrook and St. Francis Fields (behind the IWK). All skill levels and abilities are welcome! The only requirements are that you are a) affiliated with Dalhousie (staff, faculty, student or alumni) and b) have a love of the game!